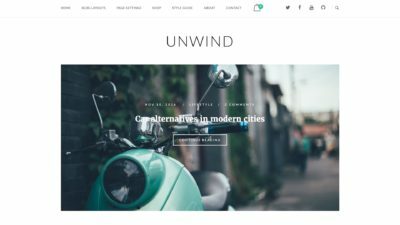 Unwind is a modern theme for creators. A stunning integrated posts slider, clean lines, and crisp typography make it the perfect canvas for bloggers. Complete WooCommerce integration usually only found in premium themes makes Unwind ideal for selling. We know standing out from the crowd is important. 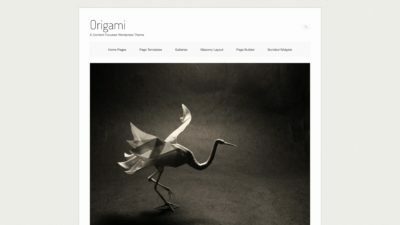 Unwind now offers four header layouts and five blog layouts, making it easy to create a unique look and feel to suit your brand. Unwind is fully responsive and mobile ready, it also features a bold full-screen search, smooth back to top button and integrations for all of your favorite plugins like Jetpack Infinite Scroll and Page Builder by SiteOrigin.